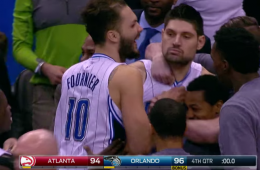 Nikola Vucevic rescued the Orlando Magic and sunk the Hawks with just with 2.2 seconds left. 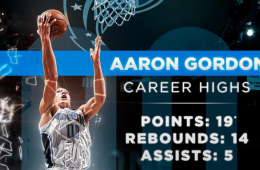 Aaron Gordon had a career-high night to help end the Orlando Magic ended their 8-game losing streak with 19 points, 14 rebounds and 5 dimes. 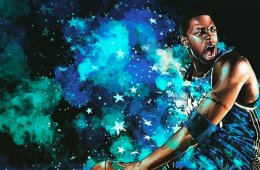 During his time in Orlando, Tracy McGrady blossomed into a basketball magician. 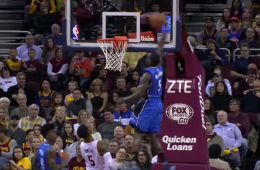 Victor Oladipo and Aaron Gordon took an L in Cleveland, but they had some pretty sweet above the rim highlights before the final buzzer. 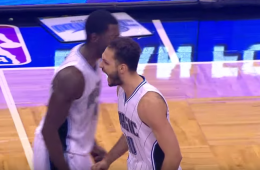 Evan Fournier returned to the Orlando Magic lineup, just in time to face the Timberwolves and he ending his night in style. 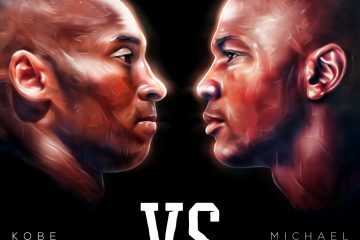 Orlando Magic forward Nikola Vucevic saves the day with a rainbow fadeaway over Roy Hibbert to beat the Lakers on Wednesday night in a shocker. 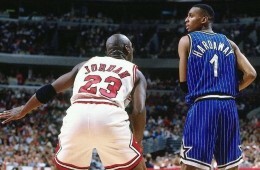 22-years ago today a young Penny Hardaway made his NBA debut. 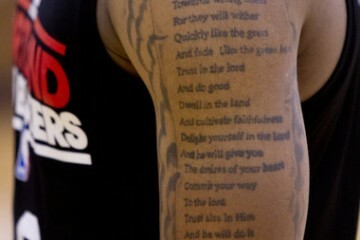 He didn't win Rookie of the Year, but you'll love his promo video. 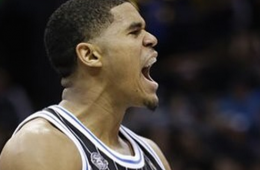 Orlando Magic forward Aaron Gordon cleans up an Elfrid Payton miss with style to beat the first quarter buzzer at the expense of Bradley Beal. 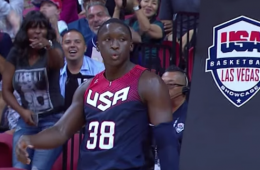 Orlando Magic guard Victor Oladipo hits Michael Carter Williams with the crossover, vicious poster jam and then a few dance moves. 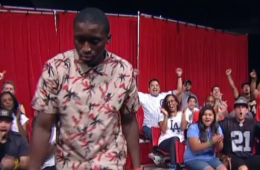 Orlando Magic guard Victor Oladipo versus SportsNation host Marcellus Wiley, no contest. 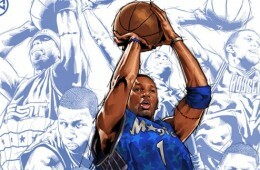 Artist San C. from China, combines multiple illustrations of former Orlando Magic superstar Tracy McGrady into one image. 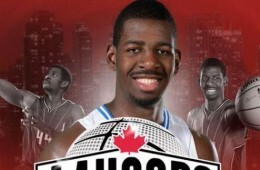 Orlando Magic forward Andrew Nicholson returns home for his 2nd annual basketball camp, 44 Hoops at his alma mater Father Michael Goetz Secondary School. 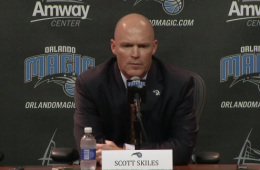 The Orlando Magic have named former franchise player Scott Skiles as their new head coach and held a press conference to introduce him to the Orlando media.